In 2016, 20.1 million people in America suffered from a substance abuse disorder, with 80 percent of those people facing alcohol addiction as well. Fewer than 11 percent of those who needed treatment actually received it. Understanding when enough is enough and taking action against substance and alcohol addictions can be one of the most difficult yet monumental moments of one’s life. 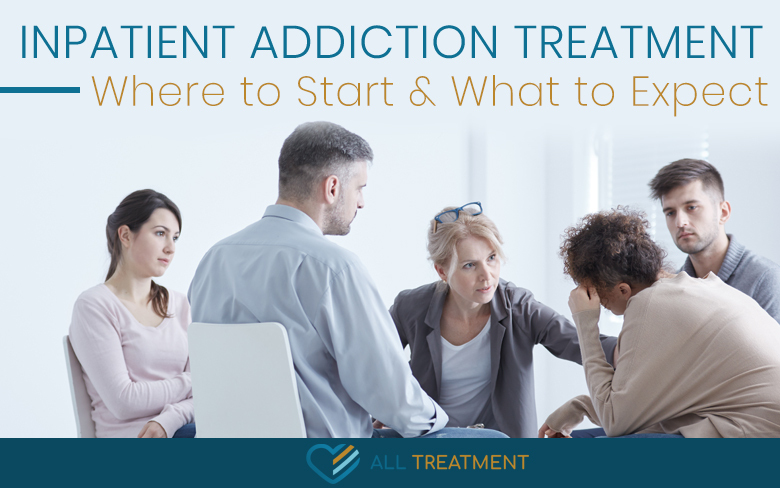 Even once you decide that you’re ready to take action against your addiction, finding the proper treatment can be a daunting, intimidating, and confusing process. That’s why we’ve created this guide about inpatient drug rehab—to help you gather all the information you need and get you on the right road to recovery. Everyone always says that the first step to receiving help is admitting that you have a problem. If you are suffering from addiction and reading this, it’s likely that you’ve already reached that stage. So what comes next? If you have a family member or loved one who is battling addiction, you might be wondering what you can do to help them get the treatment they need. Sometimes trying to quit on your own just isn’t enough and can even be dangerous when going through the initial detox phase. That’s why it’s important to understand when an addiction requires professional treatment. It often takes the help of someone who understands the science and psychology behind addiction to help bring a person out of the hole they’ve been trapped in. If you believe that you or a loved one suffers from an addiction—whether from drugs, alcohol, or other substances—and needs professional help, then you may want to consider an Inpatient addiction-treatment program. The first step is the hardest, but you’re making the right decision to seek help. Seeking treatment can be the difference between life and death for many people. Now, let’s make this process as easy as possible and give you the information you need to move forward. In your searching, you’ve likely come across both inpatient and outpatient treatment programs. Now, what is the difference between the two? Why should you consider one over the other for you or a loved one? Outpatient treatment is exactly what you think it might mean: becoming a patient outside of the treatment facility. Instead of fully immersing in a program that requires all of your time and energy to combat addiction, you only receive counseling and therapy for a certain portion of your day. The rest of your time is spent living as you normally would—going to work, spending time with your family, or being around your friends. To many, this seems like the best and most practical option, seeing as they still get to participate in their normal lives. This comes with many potential consequences, though. Without 24/7 monitoring and the availability of full access to the same triggers and influences of their addictions, it can be extremely difficult for people in these programs to fully succeed. While these forms of treatment are almost always more affordable, patients may be giving up the opportunity for real results. That being said, this program is great for those who are much stronger willed and more self-inclined to receive treatment. These could be people who are perhaps just beginning their addiction or have already come close to recovery but are still in need of some professional help. Conversely, inpatient treatment involves the complete immersion into the program, leaving behind your everyday life and influences to focus solely on you and your recovery. With inpatient treatments, you will be staying in a treatment facility for an extended period of time (which varies between different programs). Most of the time, you will be without much contact with the outside world, with limited outgoing phone calls from the facility, and scheduled family visits were the only contact from the outside. To many patients, this can seem difficult or even a bit scary. However, there are several benefits unique to this style of program. Instead of trying to navigate concerns of daily life while in treatment, such as living arrangements, meals, and work schedules, those things are taken care of for a time. That gives the patient the peace of mind to focus only on recovery, rather than trying to fit recovery into an already busy life. With an inpatient addiction program, there is 24/7 access to medical facilities, counseling, and mentoring. Giving up on drugs or alcohol or other substances is not an easy process; it can be painful, mentally draining, and physically exhausting. Inpatient addiction treatments are better for those who are struggling deeply with addiction who are unable to control their own environment and keep their triggers away. It’s difficult to know exactly what each person should expect going into one of these inpatient programs because each one is unique depending on the format. Some may be as brief as thirty days, some as long as three months, and others may even last six months to a year. Some will require you to give up all electronic devices and forms of communication; others will allow you to keep them. Also, the curriculum at each treatment center will vary quite a bit. Start by finding the right place for you or your loved one. Find centers that specialize in the type of treatment that is needed. For example, if you or a loved one suffers from alcoholism, you should find a place that specializes in treating alcohol addictions. If the addiction is drug-related, like opiates or heroin, find a facility with a proven record of treating those addictions. Look for a place close to home – maybe? Look for a place that will be close enough for a family to come to visit, somewhere that would make you or your loved one feel safe and comfortable. Search for an affordable program, but make sure not to sacrifice true care and results for a little more affordability. This treatment could mean the difference between life and death for the patient. If the best addiction center is not close go elsewhere. Now, how do you assess the methods used for treatment, and which ones will serve best for you or your loved one’s unique needs? Once you’ve found a few places that may work as far as location and affordability, start doing some research about the type of program each facility has. Many of the inpatient addiction treatment centers around the country use a tried-and-true 12-Step abstinence method. For many, this type of addiction treatment works amazingly well, and for others, it does not work at all. Other facilities may use different types of programs and methods that would better suit you or your loved one. Do your due diligence to find the right place. Twelve Step rehab will likely be the most common type of treatment that you will see when researching different treatment facilities, as it’s used in about 74 percent of all treatment centers. A 12-Step abstinence program is designed to facilitate growth, empowerment, and overcoming by looking towards a higher power and staying completely abstinent from any triggers that may come your way. In June 1935, a man named Bill Wilson organized Alcoholics Anonymous, a program that is still used to help alcoholics all around the world. It was during the creation of this program that Wilson came up with the 12-Step philosophy, and it has been adapted for all kinds of addiction treatments ever since its creation. A 12-Step program is usually designed by those who have suffered the same illness for which they offer treatment. The goal of any 12-Step program is to gain the tools and knowledge you need to not only overcome your addiction but to eventually help others that are struggling to overcome theirs too. That said, no matter where you decide to find treatment, more than likely there will be at least some influence of the 12-Step philosophy within it. Another type of inpatient addiction treatment you will commonly find is long-term residential care. These programs may incorporate a similar philosophy to a 12-Step program but typically depend more on the Therapeutic Community (TC) model. These programs use a sense of community and socialization techniques to help bring the patient out of their crippling addiction. This kind of program is much more immersive and requires significantly more time than traditional inpatient programs like a 12-Step program. It’s important to keep in mind, however, that each individual location of long-term care will differ in their policies, activities, and philosophies. What you can rely on, though, is that a long-term treatment will certainly make a difference in the life of someone suffering from addiction. Another powerful and immersive inpatient program is called dialectical behavior therapy, otherwise referred to as DBT. This type of program is significantly different from what you would find in a long-term residential facility or a 12-Step program. DBT is a cognitive-based psychotherapy that is designed to help the patient develop coping skills, integration, acceptance, and change. DBT was originally designed to help treat mental illnesses such as bipolar disorder, borderline personality disorder, and other psychosocial illnesses. However, professionals found that the same type of therapy was incredibly effective in treating substance- and alcohol-abuse disorders as well. DBT therapy is an incredibly powerful program that could make a huge difference in the life of someone who is suffering from a substance abuse disorder. IT is also a proven method to deal with a dual diagnosis. The length of the program varies depending on which facility you attend, but there are likely options to fit anyone’s needs. Similar to the DBT, Cognitive-Behavioral Therapy, or CBT, is another form of inpatient addiction treatment to consider. This program focuses on therapy that brings the patient to be able to recognize their own triggers and behavioral issues and learn to stop their own negative behavior and thoughts. CBT, like DBT, was not originally intended as a treatment for substance abuse but was later found to be extremely effective both on its own as well as paired with other forms of treatment. It has also been very effective as a dual diagnosis therapy for those suffering from severe depression and anxiety, as those issues both cause harm on their own and also reinforce the addiction. This type of program is constantly growing and expanding as more researchers and medical professionals find new methods and evidence proving CBT effective. We mentioned dual diagnosis when discussing both DBT and CBT programs, but let’s discuss this a bit more. 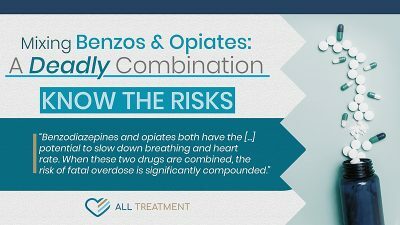 Many times, people who are suffering from some sort of mental or physical ailment will turn to drugs or alcohol, resulting in a double-dose of debilitating issues. That’s where dual diagnosis treatments come in—they are designed to target not only your addiction but how your mental illness impacts that addiction. That’s why DBT is so effective for those who have a form of the psychosocial disorder, especially a one like a borderline personality disorder. Most of the time, it’s not enough to deal with just one or the other. It’s important to target everything that could be affecting you and your ability to stay away from drugs or alcohol or other substances. When in a dual diagnosis program, you may have the opportunity to seek trauma-based therapy. For many who have suffered a horrible and traumatic event(s) in their lives, they’ve found themselves in the throes of addiction. Having the opportunity to seek this kind of therapy while battling your addiction can really make a significant difference in the recovery process. In trauma-based therapy, you will have the opportunity to uncover deep emotions and motivations within yourself, providing insight into the fundamental causes of addiction. For many, overcoming their traumatic experiences is enough to dramatically reduce stress, resulting in a new start—one without addiction. It’s crucial that when searching for the right place for your treatment that you make sure they are a trustworthy and accredited facility. You want the best care you can possibly get when dealing with something as difficult as overcoming an addiction. If your facility is trustworthy, effective, and worthwhile, it will have accreditation from one or more of these. Do your due diligence ahead of time, and don’t be afraid to ask these kinds of questions when you are considering enrolling in a new program. Unfortunately, not all of those who are in need of this type of addiction recovery have the financial means to afford it. Luckily, there are many resources out there that will help you to be able to receive the necessary treatment. SAMHSA, the Substance Abuse and Mental Health Service Administration, offers extremely valuable resources to help overcome the disease of addiction, including financial services like grants or scholarships. All you have to do is fill out an application and explain your situation and the need for a service. You can also find similar grant and scholarship programs through other organizations like the National Institute on Drug Abuse. Don’t hesitate to get the necessary help because of your financial situation. Ample resources are available, designed just for this purpose. When it comes to Medicare, you will be covered for certain periods of inpatient addiction treatment depending on the type of facility. If you are in a hospital inpatient treatment, you have an unlimited timeline of coverage, which does include room and meals. If you are in a psychiatric facility, Medicare will only cover you for up to 190 days in a lifetime. This still should be enough for you to receive most or all of your inpatient treatments. Find out if you qualify for Medicare coverage. It is typically available to those who have lower incomes. Now, Medicaid is much the same for benefits and coverage, but a bit different as far as qualifications go. Medicaid is a state-run program rather than federal like Medicare. Qualifications include age, disability, and income. Some people make too much money for the government- and state-subsidized programs but are still covered by private insurance. Whether or not your insurance covers inpatient rehab varies by provider and your plan. Before you begin your road to recovery, we need to discuss what to expect during the most critical and intense part of the entire recovery process: the detoxification period. For most, this will be the most difficult part of overcoming addiction. Withdrawal symptoms have the potential to make you feel like your world is ending, as well as physical pain and sickness. When your body has become acclimated to constant drug or alcohol use, the absence of these substances can have a profound effect in the initial stages of quitting. Regardless of the severity of the substance, you will experience some level of withdrawal symptoms. Each substance will come with a different timeline of detoxification, as well as varied symptoms. Here are some of the symptoms and side effects of detoxification that you may experience. Alcohol detoxification usually lasts about seven to ten days and consists of severe initial symptoms. Those symptoms include nausea, sweating, shaking, discomfort, anxiety, depression, cravings, dysphoria, loss of sleep, and poor mood. Detoxification from heroin or opiates usually lasts around a week but could last upwards of twelve to fourteen days. The symptoms differ from user to user and depend on the severity of the addiction. Symptoms can range from mild ones like nausea, shaking, anxiety, and abdominal cramping to moderate effects like vomiting, diarrhea, agitation, restlessness, tremors, and trouble concentrating. Meth detoxification usually lasts up to two weeks and goes through stages of symptoms. In the first twenty-four to seventy-two hours, patients can expect symptoms of fatigue, nausea, extreme anxiety, panic, depression, suicidal thoughts, paranoia, and even potential hallucinations. In the second week, symptoms will subside but might include depression and mood swings. Detoxification from cocaine is typically considered to be less severe than other substances as far as physical symptoms go. However, psychological symptoms can be unique and intense. Often times, regardless of the type of program you enter, you will go through your initial detox phase either in a hospital setting or under strict medical attention and care. This is because of the intense physical and emotional pain that is caused by detoxification. In a hospital inpatient rehab, you will be monitored by medical professionals who understand what you are going through and know how to take care of you. Many times, depending on the type of substance, you will be administered medication designed to guide you through the withdrawal period a little bit easier and more safely. Medication has been developed over time to help those suffering from addiction be able to make it through the horrifying initial detox phase easier than ever before. Buprenorphine is one of those medications that is used in hospitals and treatment facilities for detoxification from drugs like heroin or opiates. It has a low potential for abuse, which is important. The worst outcome during detox would be a new addiction. Some benefits of this medication during detox include a weaker desire for the addictive substance, affordability, and pain management for symptoms of detoxification. Unlike other detox medications, Buprenorphine can be used for a longer term with a lower chance of dependency. A more well-known and common detox medication is Methadone. Methadone can be habit-forming, so it often is only used in long-term care where a patient will be closely monitored while using the medication. Methadone helps with the detox symptoms of almost any addiction, from cocaine to methamphetamine, and even alcohol. Methadone is actually a prescription pain reliever, which is why it is important to closely monitor patients using this medication to overcome withdrawal symptoms. Nearly all pain and physical symptoms will be alleviated while using this prescription. No one ever said that overcoming addiction was easy, but it also doesn’t have to be so hard either. Informing yourself, as well as those around you, is the first and most important step on the long road to recovery. Create a support system and remember that there is no shame in asking for or receiving help. While there still may be a long road ahead, just remember that it’s never too late to make a change in your life. Addiction is a powerful illness; however, each person has the strength and capability to overcome it. Remember that you are not alone and that there is a treatment out there that is right for you. Contact one of our treatment specialist for help in locating an inpatient rehab center that fits your personal needs, your financial status, your personal beliefs, your insurance coverage, your current state of addiction and the type of treatment you prefer.